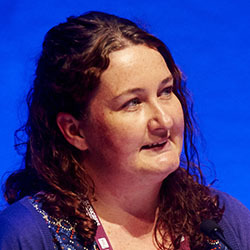 Nurses deciding whether to have the flu jab should consider that a flu pandemic is the number one threat to the UK, a public health expert told RCN congress. Rod Thomson, public health director for Shropshire who has been involved in disaster planning, made the point during a discussion on low uptake of the seasonal influenza vaccine among nurses. ‘When we met at national level to look at key threats to the UK, number two on the list was a catastrophic loss of power due to storms or a terrorist attack. 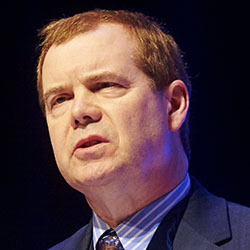 But top of the list was a flu pandemic,’ said Mr Thomson, who is deputy president of the RCN. Vice-chair of the RCN UK safety representatives committee Lesley Pallett said healthcare workers were at higher risk of contracting flu, and that one in four front-line healthcare staff would contract it in an average season – and more in a severe season. She also highlighted the variation across the UK healthcare workforce in uptake of the flu vaccine. A Nursing Standard article published this month showed how only 68.7% of NHS staff in England chose to be vaccinated, 56.9% in Wales, 40% in Scotland and 33% in Northern Ireland. Only Wales and Northern Ireland have an uptake target for staff, and both countries were slightly below it. Two nurses sounded notes of caution about the flu vaccine. Lesley Hamilton said she received a flu jab and then developed sepsis, and Jane-Elizabeth Took said she had an adverse reaction after the flu jab 20 years ago and was advised never to have it again. But when Ms Took's employer insisted she have it, she experienced another adverse reaction. ‘And I’m very lucky to be standing here today,’ she added.